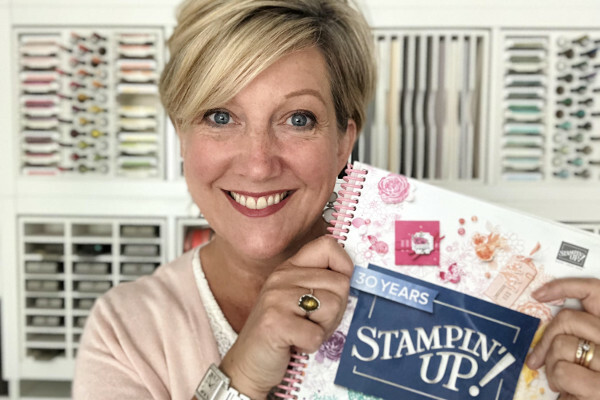 Bloom by Bloom from Stampin’ Up! I have a lovely bright sunny card for you today using the Bloom by Bloom stamp set from the new seasonal catalogue. I love stamp sets that have bold filled in images as you can get a really modern and contemporary design with just stamps and ink. I just used three colours to stamp the card base. Stamp the whisper white card base using Daffodil Delight, Basic Gray and Smoky Slate Ink and the Bloom by Bloom stamp set. Heat Emboss in white embossing powder using the greeting from the Amazing Life stamp set onto Smoky Slate cardstock. Position the Rectangle Stitched Framelit Die to fit around the greeting and mark with a pencil where the tails of the banner stick out further than the rectangle die. Cut around the tails of the banner so that you can pop them on top of the die away from the cutting edge. 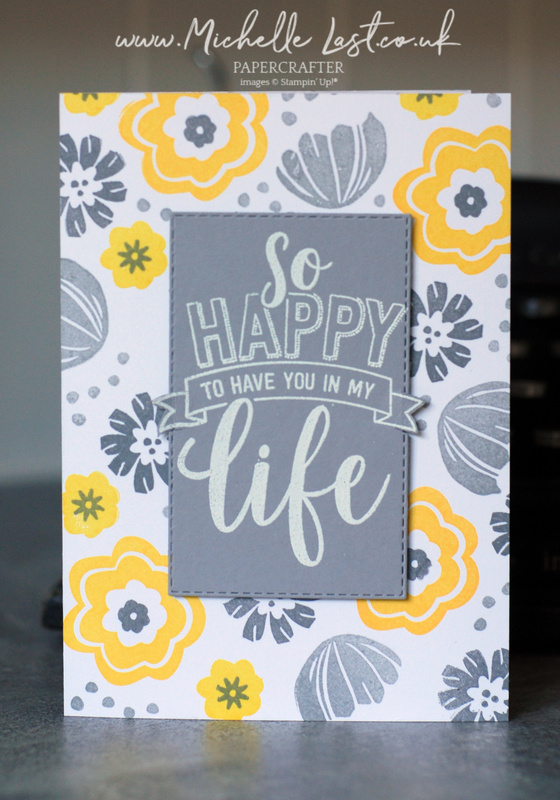 Run the embossed greeting through the big shot and stick to the card front with dimensionals. 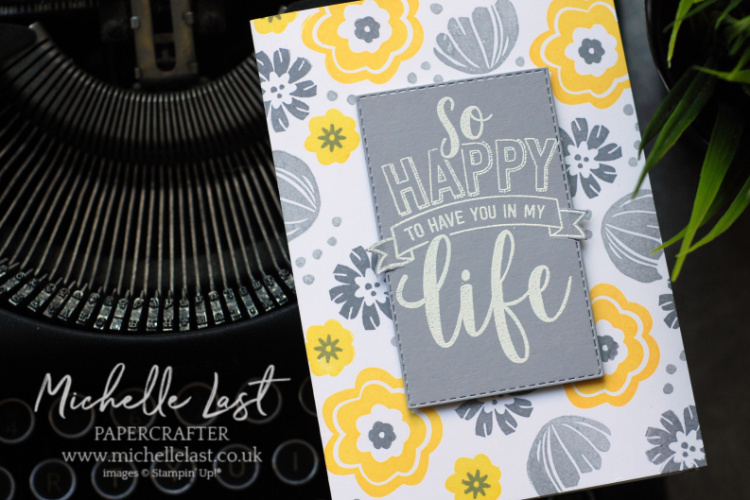 The background stamping is really quick and would look lovely in lots of colour ways. Why not give it a try? All the products I have used are available from my online shop. Simply click any of the items shared below to go to that item in my shop. When you spend £45 during sale-a-bration you can choose a free item from the sale-a-bration brochure. The ribbon bundle has already sold out and will not be able to be replenished. There are lots of other things to choose from through and please remember to use the monthly hostess code to receive a handmade thank you card and gift when spending £20+. Please get in touch if I can help with anything. Have a great day! What a beautiful design and such perfect colors! Thanks so much for sharing your wonderful card.